The Work Versus Waning. | Hayley McCulloch. | | Quiet Lunch. The Work Versus Waning. | Hayley McCulloch. Nobody was told what had happened. We’d previously received a museum return of a ‘sleeping beauty’ figure with a torn costume and the paint job rubbed off of her breasts, which coincided with reports implicating a location manager and his dismissal. Eventually I had to leave this job because it gave me nightmares. Presented daily with a parade of questionably “life-like” effigies – ranging from Genghis Khan to Gandhi to Marilyn Monroe – the mockery of the human incarnation began manifesting its twisted tale in a mash up of these gaudy recreations. The most robust psyche would have warped. Our studio-factory had a stock room known as ‘the grave yard,’ which housed various limbs, celebrity death masks and fragments of antique Parisian remakes of historical figures. Here, a collection of replacement and reference material had melted in part and ghoulishly fused. 4 spare Beatles heads sat on the far back, top left shelf – dust covered with mouths gaping in eternal mute harmony. With outstretched arms I reached for the head of John, pulled it down, polished and primped it. 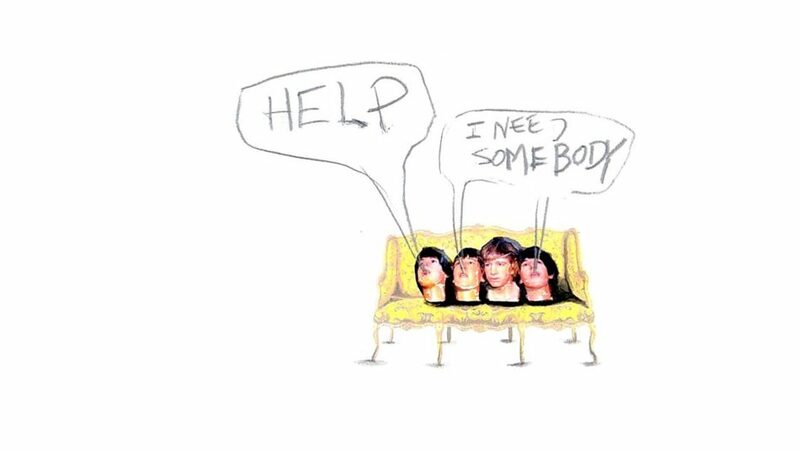 He was packed and shipped out to join the rest of his body, Paul, George and Ringo. Together, I imagine them staged in their entirety, spot-lit and mugging in front of a tasseled red curtain somewhere under glittering lights and the gathering scrutiny of a room full of tourists. Hayley McCulloch’s Help, I Need Some Body (featured above) is currently on display in OXHEART‘s group exhibition RPM at NOoSPHERE Arts.